Private lessons provide focused, one-on-one instruction with a master teacher and are available in the following areas of study: Piano, Guitar (acoustic, electric and bass), Ukulele, Mandolin, Banjo, Voice, Violin, Suzuki Violin, Fiddle, Viola, Cello, Double Bass, Recorder, Flute, Clarinet, Oboe, Bassoon, Saxophone, Trumpet, Horn, Trombone, Euphonium/Baritone, Tuba, and Percussion. Learn more about our Private Lessons. Group classes for piano, guitar, ukulele, violin, viola, cello and upright bass provide a high-quality foundation for musical study. Taught in a small group setting, these classes are an alternative to traditional private lessons and offer an exciting and affordable approach to beginning musical instruction. Learn more about our Group Classes. Greater Richmond School of Music offers ensembles which are available to children of a wide range of ages and levels through our Choirs, String Ensembles, Chamber Ensembles and the Band Programs. GRSM Children’s Choirs are open to children from ages 5 and up and Youth Choirs through age 18 years. String Ensemble students may start at age 7 years with as little as one year experience on violin, viola, cello and bass, whereas advanced string students should have 3 or more years of experience to participate. 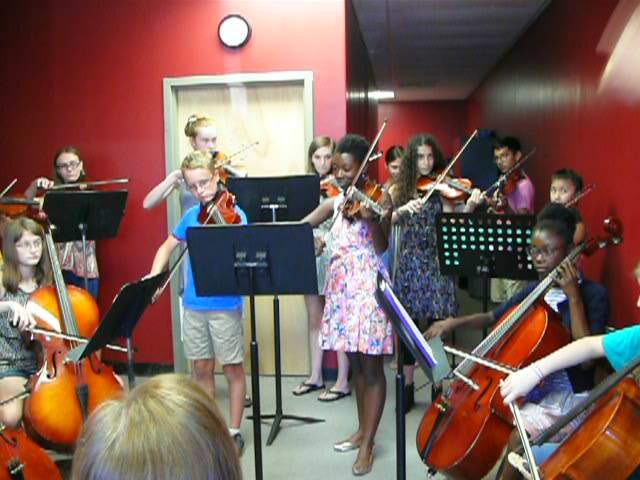 Chamber Ensembles require an audition and are open to children 10 years and older and are available for all instruments. 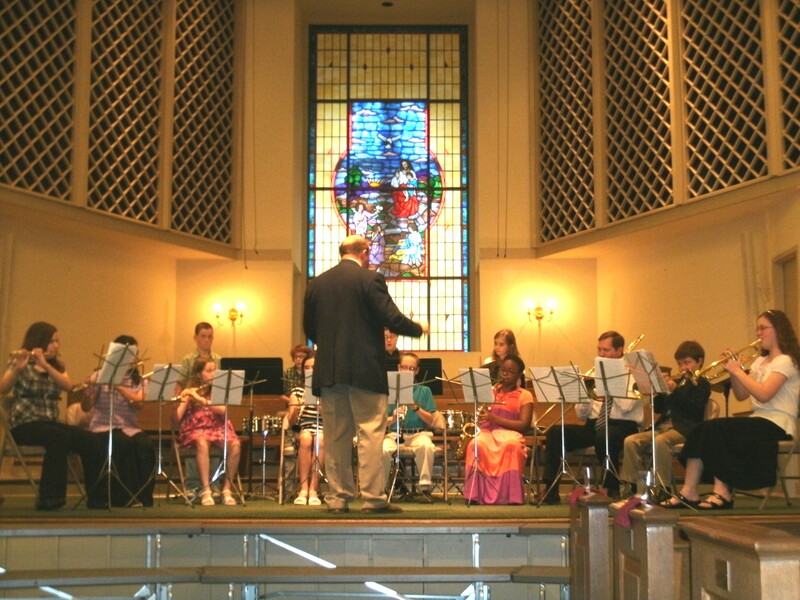 The Band Program is offered to beginners aged 9 years and up and extends to advanced players up to 18 years. Learn more about our Ensembles. The Greater Richmond School of Music offers various programs for our homeschooling community including band, choir, strings ensembles, group piano, group guitar, group violin and private lessons. Through our Homeschool Music Survey, we discovered that many homeschoolers actually prefer classes at “traditional” after-school hours, and so we have scheduled our programs to suit the needs of those from whom we received responses. As a result, some of these programs are offered during the day and some later in the afternoon. If you find that the times do not suit your family, we invite you to take our survey at the Homeschool Music page. Multiple family member discounts are available. Read more detailed information about each of our Homeschool Music Programs. Your child will discover music in various styles through singing, movement, and playing instruments while interacting with peers in an age specific, education focused, and fun environment. Through the foundations of music, your child will explore and develop core preschool developmental concepts such as numbers, letters, sharing, and cooperation. Come and watch your child grow through the excitement and fun of music! 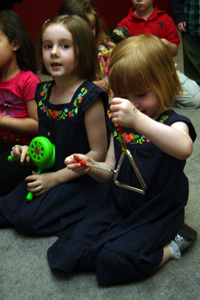 Learn more about our Early Childhood Music Programs. In 2016, GRSM is offering a wide range of Summer Camps (June 20th-Sept 2nd) for children in Grades Rising 1-12. CLICK HERE for a full list of camps and descriptions!! The Summer Term for Private Lessons begins on Monday, June 20th, 2016 and runs through Saturday, September 3rd, 2016. Registration is accepted at any time throughout the term (tuition costs will be prorated for those who register after the start date). Learn more about our Summer Programs.